Low-incomeschools are less likely than higher income schools to offer computer science(CS) classes. In all schools where computer science courses are part of thecurriculum, there is no standardized set of learning standards. And most of thetime CS classes are categorized as electives with a vocational slant. Theseresults and others surfaced in a survey administered by the Computer ScienceTeachers Association (CSTA), a membership organization that promotes theteaching of computer science and other computing disciplines. Thesurvey was issued online to 20,000 secondary school leaders across the country;503 people responded. Ofthose, 77.5 percent reported that their schools offer CS courses, but thosecourses tend to be more common in the better-funded ones. Of the 27 percent ofschools where a majority of students qualify for free or reduced lunch, six of10 have CS courses. In the 44 percent of schools where the majority of studentsdon't qualify for free lunch, eight of 10 offer CS classes. In lower incomeschools with CS courses, four of 10 also offer after school or extracurricularprograms in the subject. At higher income schools, that count was much higher —10 of 10. Theterm "computer science" boggled some respondents. When asked whichkinds of CS classes their schools provided, some answered, "businessmanagement," "yearbook layout," "artificialintelligence," "robotics," "office applications" and"automated design." "Thisbroad use of 'computer science' to encompass curriculum and courses that wouldnot be considered 'computer science' at a college/university or professionallevel indicates a need for educational community consensus on a commondefinition of computer science education and curricular content," thereport's authors stated. Onlyfour in 10 schools count a CS class towards a requirement in math, science ortechnology; the remainder tends to count it as an elective. This becomes aproblem, the report noted, because "electives are often culturally andacademically regarded as filler classes in a student's schedule." Also,electives don't tend to count toward college admittance. Themost common CS class offered across the board in high schools is Web design anddevelopment, followed by introduction to computer science, computer graphicsand programming. The top 4 content areas covered in the curriculum of the CScourses are problem solving in 65 percent of the classes, ethical and socialissues and graphics, tied at 57 percent, and Web development at 51 percent.Areas considered "core" to CS, according to the organization, such astesting and debugging and analysis of algorithms, came in much lower on thelist — 34 percent and 32 percent, respectively. Thereport's authors offered several observations based on the findings of theirsurvey. Inlower income schools, a solid third have no computer science whatsoever, versusonly 16 percent in higher income schools. Because the "development"of a computer scientist is a multi-year "pathway," the fact thatstudents in lower income schools have little or no access to CS over the courseof their high school years "puts them at a disadvantage for both futurecollege and career pursuits" and perpetuates a "vicious circle"for students who are economically disadvantaged. There'sstill a "huge misunderstanding of what CS is and what it isn't" atthe high school level, the report said. Without a standardized set of CSofferings, colleges and universities "will continue to resist adding CScourses as accepted math or science credits for admission." At the sametime, students in those schools without a solid CS program will enter college"woefully behind" others. 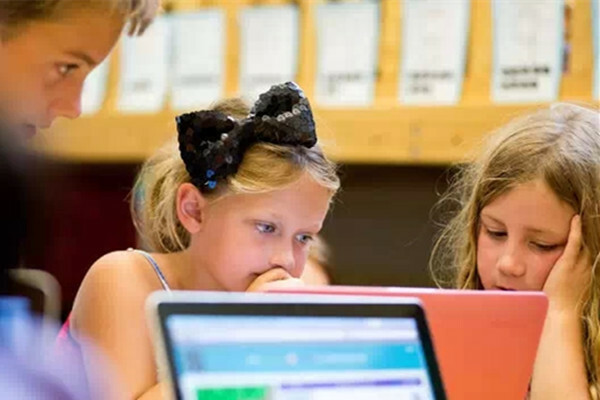 Finally,there's a "misperception" on the part of many schools that"simply exposing students to technology as a tool or offering an hour ofprogramming experience is equivalent to offering them the true CS educationpathways that are needed to make students college- and career-ready." Anational funding plan be created to give all students "equitable access tocomputer science education." Thestudy was funded by Oracle Academy, which provides free software, curriculum,and other resources to schools. Thestudy's results are available (as is a a PDF data summary) on the CSTA site.